Seventeen year-old songwriter Ronnie Mack was working with a group in the Bronx by the name of Little Jimmy & the Tops who released a song written by Mack titled Puppy Love in late 1961. The song and the group didn’t go far. Mack, with a satchel full of songs, turned his attention to a group of three high school girls from nearby James Monroe High School that he discovered a year earlier. The group consisted of 14-year old Judy Craig (born in 1946), Patricia Bennett (born in 1947) and Barbara Lee (born in 1944). Mack heard the girls singing in the school cafeteria, liked what he heard and the songwriter eventually became their manager. For Mack, it was an uphill climb as none of the girls had previously sung in a group nor were they interested in pursuing a musical career. They sang for fun and were more influenced by Nina Simone and Nancy Wilson than current pop records. Mack persisted and eventually had the girls record some demos of his songs he had written. He also convinced them to add Sylvia Peterson, who sang with Little Jimmy & the Tops. While the girls were busy with high school and finding jobs, Mack was pounding the New York streets in an attempt to sell his songs. Eventually, Mack found Bright Tunes Publishing, located in the Mutual of Omaha Building at Broadway and 54th. Bright Tunes consisted of four members—Jay Siegal, Hank Medress, Phil Margo and his brother, Mitch Margo—professionally known as The Tokens. Three songs were recorded at the session in August of 1962—He’s So Fine, Oh My Lover and another song that no one seems to recall. Jay Siegal did recall this fact. “He's So Fine didn't open with 'doo-lang, doo-lang' at first. It was just in the background. But the staff engineer at Capitol, a guy named Johnny Cue said, 'Why don't you start the song like that?' So we put 'doo-lang' in front of the song. Even with the catchy phrase with the doo-lang’s in the background, Bright Tunes opted for Oh My Lover to be the A-side because it reminded them of the Tokens’ first hit, Tonight I Fell In Love. In time, it was evident the A-side would be He’s So Fine. But not everyone was convinced the song would be a hit. Shortly after the song hit #1, Ronnie Mack collapsed on the street and was taken to Roosevelt Hospital. He had been ill with Hodgkin's Disease and had not told anyone. The Tokens presented him with a gold record in his hospital room and a short time later, he passed away. (7) At a music/songwriters convention in 1964, Louise Mack, Ronnie’s mother, gave a impassioned speech about her son upon accepting an award for He's So Fine. Songwriters Lamont Dozier and Eddie Holland attended the event and were so moved by the speech, they wrote the song Jimmy Mack, a 1967 hit for Martha Reeves and The Vandellas, in Ronnie Mack’s honor. 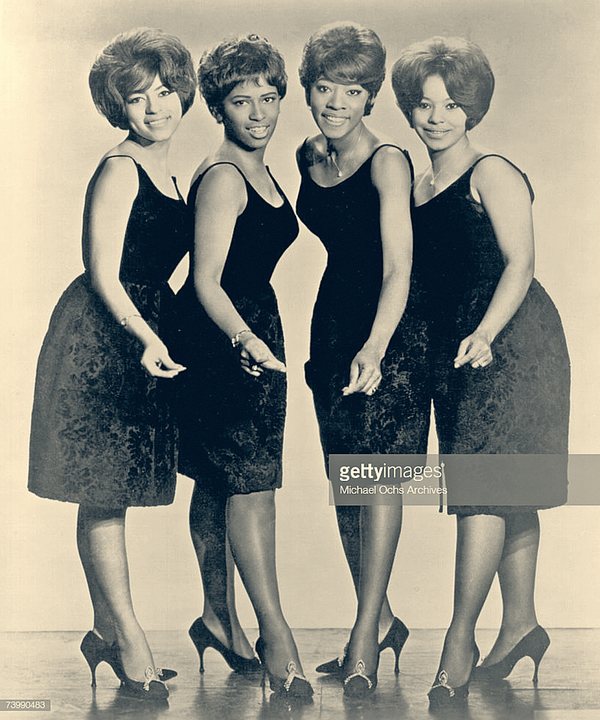 The Chiffons third and final Top Ten song was Sweet Talkin’ Guy, which landed at #10 on June 25th, 1966. (5) Overall, The Chiffons scored a total of twelve songs on the Billboard Hot 100. 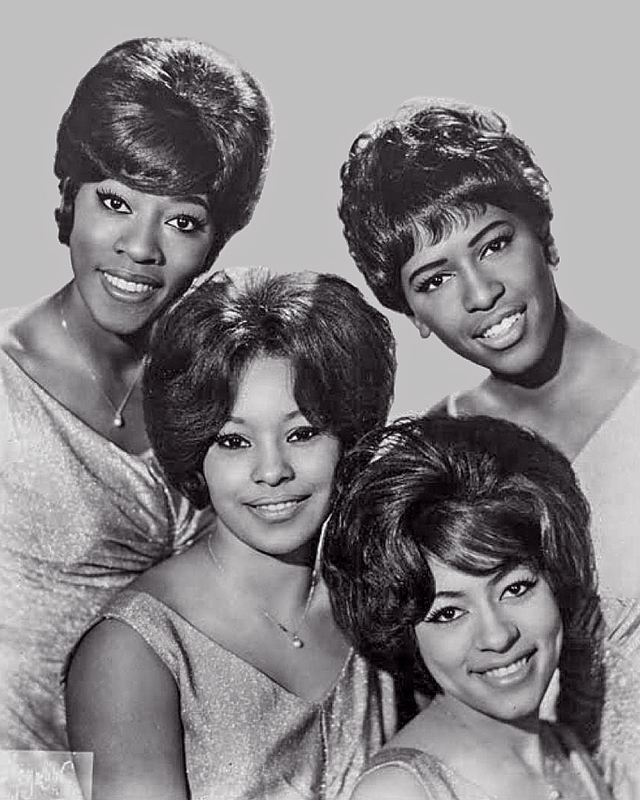 (4) Like many other groups that found success before the scope of rock and roll changed with the British Invasion, The Chiffons popularity waned as the group would drift into rock and roll history…at least until 1971. Since there were no live performances found on YouTube, enjoy the enhanced sound quality. 1) Shannon, Bob, Wayback Machine, Behind The Story, Link. 2) Wayne, Artie, Hangin' in: Spectropop presents Hank Medress, 2006, Link. 3) Songfacts, He’s So Fine by The Chiffons, Link. 4) Whitburn, Joel, Top Pop Singles 1955-2002, Page 128. 5) Whitburn, Joel, Billboard Hot 100 Charts The Sixties. 6) Whitburn, Joel, Joel Whitburn Presents Top R&B Singles 1942-1999, Page 78. 7) Bronson, Fred, The Billboard Book Of Number One Hits, 1985, Page 127. 8) Clemente, John, Girl Groups: Fabulous Females Who Rocked The World, June 24, 2013. Page 103. 9) Wikipedia, He’s So Fine, Link. L-R: Sylvia Peterson, Patricia Bennett, Barbara Lee and Judy Craig. Photo courtesy of Getty Images/Michael Ochs Archives.